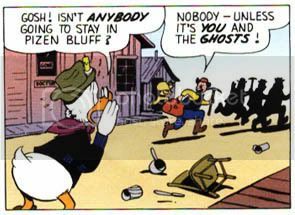 I've had a thing about ghost towns ever since I read Return to Pizen Bluff as a kid. I've been looking for the real deal; of course it no longer exists as portrayed by Barks, but Bodie filled the bill for me, at last. Located near Mono Lake, about 115 km (75 miles) from Lake Tahoe, Bodie was California's largest gold mining camp. It is a cold climate, at 2560m or 8400ft above sea level, in the middle of the high desert. It prospered in the late nineteenth century until the early twentieth century when the winds of change finally overcame it. In 1942, the government made precious metals mining illegal - the skilled labor was needed to mine ore for steel. The restriction was repealed in 1946, but Bodie never recovered. The last steadfast resident left in 1961, and Bodie was declared a National Historic Monument, and a State Park in 1962. Unprotected ghost towns in the old west have been scavenged and largely blown away, or they've been restored as tourist attractions. 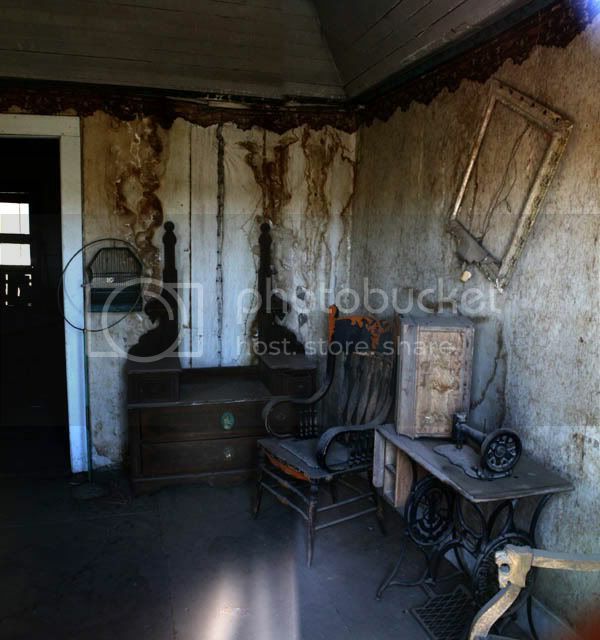 Bodie is unique as a protected snapshot in time; as the rangers put it, it is in a state of arrested decay. The first thing that greets you as you come up the rise from the parking lot is remnants of Victorian age heavy machinery; one of my favorite things to chance across. This is a steam engine, it might have driven an elevator, or a stamp mill. The town reveals itself over the hill; more than a hundred buildings are still standing, although a thousand stood at the town's peak. Most of the town burned in 1932. Before then, the main street was a mile long, it was lined with 62 saloons. The town's engines used to be wood fired before they brought electricity in. Huge mule teams brought the wood, the main street was wide enough to turn a long mule team around. It was a lawless place, fights abounded. A miner made $4 a day; a decent wage. $2 bought three square meals and a bed. The saloons and legendary red light district gave him something to spend the rest on. Numerous stamp mills lined the hills. They walloped ore into gravel all day and all night long, six days a week. 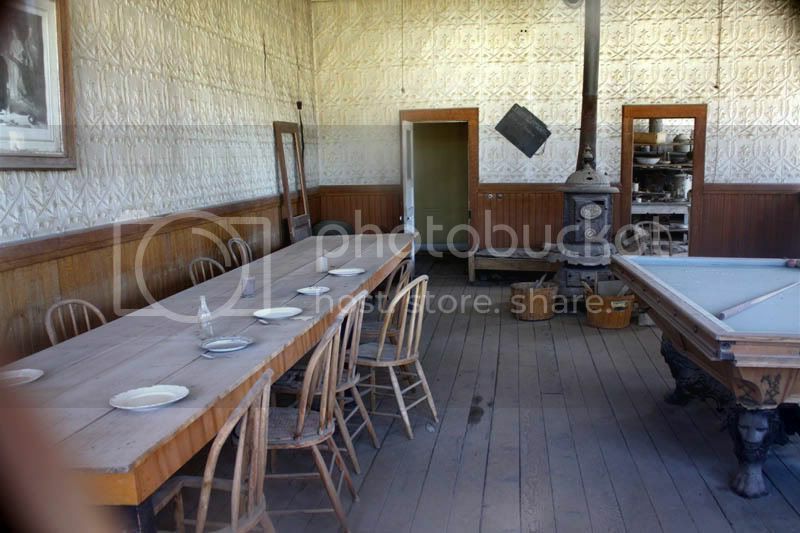 The din was incredible; folks claimed that babies born in Bodie couldn't sleep on Sundays, it was too quiet. Today, the stamp mills are silent; Bodie is nestled in the hills, automobiles and all the sounds of modern life are absent. The quiet is striking, until the wind kicks up. The town is a little eerie, it is as if all the people just up and walked away; which they mostly did. 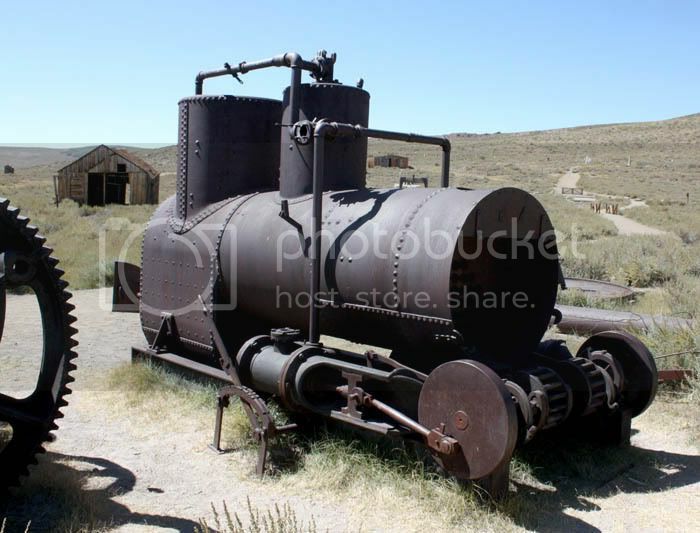 It was difficult and expensive to bring things in and out of Bodie; the railway connected Bodie with stands of timber for construction and fuel, but not to other towns. The rails and railway itself was pulled out for scrap when the government needed metal to build ships for the Great War. The first thing we did was peek in all the windows. e The interiors of the buildings vary in state of preservation. It seems that if the building was well built and the glass intact, the interior is preserved; if the glass was broken the building is in a shambles, with little more than broken wood and tatters remaining. These photos show some of the best preserved buildings. The windows are dusty, you can hardly see in. The dust is everywhere, you hear the old-timers talking about alkali a lot; breathing it you get what they're on about. I'm amazed what the camera can see through the windows; more than I can. Children's crafts can be spotted in corners and in piles; poignant. The general store is still stocked. It's much dustier than it looks, I enhanced the color a bit. A kitchen vignette as if ghosts are about to eat. The distortion of the image is because several photos were taken with a very wide angle lens, and then warped and fitted together to make a very wide angle view. Here's the interior of a hotel saloon. Scrooge would have been right at home here, fighting to defend his claim. A famous newspaper illustration from Bodie's heyday showed miners, gamblers, and miscreants shooting at each other across the pool table with fainting ladies fanning themselves in the background.